Personal digital assistants are useful, but they have their limits. For example, some have difficulty understanding a person who has an accent. There are tasks that personal assistants are simply not ready to do yet. This can lead to frustration. Wiidii solves this problem with the first hybrid personal assistant. Todd spoke with Anissa from Wiidii at CES 2018. 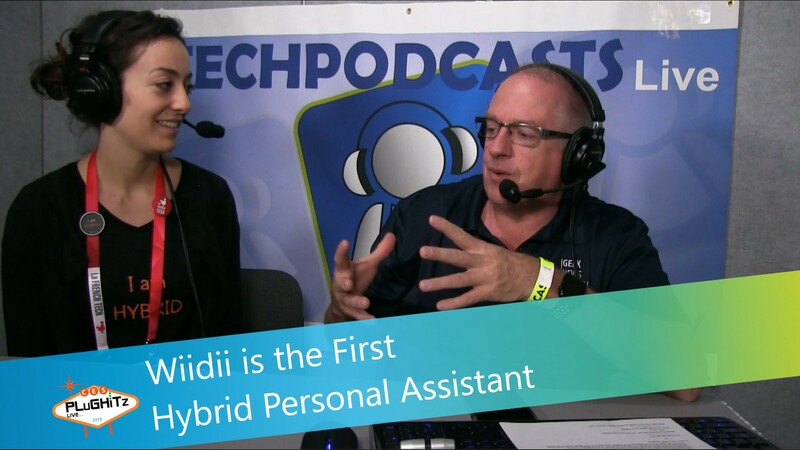 Wiidii (pronounced "weedy") is a personal hybrid assistant. It is an application on your phone that combines an artificial intelligence with human personal assistance. Wiidii has a machine that is able to understand human language in a way that most other assistants cannot. No matter how you ask a question, the way you talk or the accent you have, Wiidii is going to understand what you are asking. The machine personal assistant knows its limitations and is able to turn your request over to a human personal assistant who can complete tasks such as making a dinner reservation at a restaurant for you. Wiidii currently understands French, English, Chinese Mandarin, German and Spanish. Wiidii sells their service to partner companies who either use it internally or sell it as a service to their customers or providers. The service is not directly available to individual consumers.